Advertising for GAC – Kinderhorizonte e.V. Everybody interested in contributing to the GAC project can help, even if he does not send donations. How can one do this? Easy. Just approach your friends, and colleagues and tell them about our children aid project . To support you we have prepared an informative flyer and a more detailed folder about the GAC project those can be downloaded here (see below). 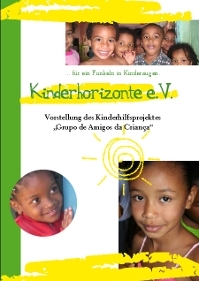 If requested we will provide an English or Portuguese language version. If you would like to set web links to our pages feel free to download our banner and also our signatur button. Right click on picture and choose “Save grafic as” and insert the shown HTML Code to your own page. Apply the HTML Code to your Signature.